I am trained in a range of treatments to help boost your self-image, confidence and general wellbeing. 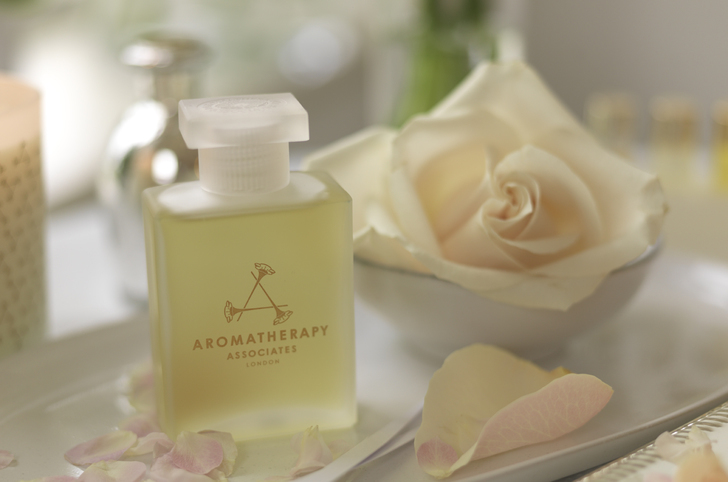 Using luxurious products to stimulate your senses and enveloping you in clouds of beautiful fragrance, I will take you on a journey of relaxation, giving you the time and space to feel free. I can visit a corporate setting to relax and treat staff on site, or I practice from my base in the stunning village of Debenham in Suffolk. Immerse yourself in an indulgent massage treatment, inch loss body wrap or holistic treatment, all designed with a sprinkling of luxury using the finest products and specialised techniques to relax you and take you on a sensory journey. Express partial body wrap treatments allow you to target specific areas of concern to tone, firm and reduce inches in just 35 minutes. Combining Universal Contour Wrap Classic Clay Solution with specific wrapping techniques results in positive slimming effects that can be instantly seen. Lifting Bust Wrap - Lifts & firms the bust area whilst smoothing the area around the back. Firming Arm Wrap - Effectively firms, tones & sculpts loose and saggy upper arms. Toning Tummy Wrap - Tones loose skin around the waist and stomach area whilst helping to reduce stretch marks. Sculpting Buttock Wrap - Sculpts the buttocks into shape whilst helping to reduce the appearance of cellulite. Anti-Cellulite Thigh Wrap - Helps to reduce the appearance of cellulite on the upper thighs by firming and toning. A bespoke treatment package designed with just you in mind. This 2 hour treatment slot all about you! We start with a consultation about your physical, mental and emotional health, with this in mind Tammy then designs there and then a bespoke treatment package entirely for you to benefit your needs, to ensure maximum relaxation and wellness. Your bespoke treatment package could be a combination of any of the treatments or services offered by Simply Stylish, it is a slice of time to just "lose yourself" for a while in the therapies that are offered but also "find yourself" with the expert guidance of Tammy. An ancient foot massage therapy to help you move forward with a renewed sense of wellbeing. Relieving tensions and unblocking energies, a grounding treatment that makes you feel like the whole body has been treated, leading to natural healing of the organs and bodily systems. A treatment to restore you, making you ready to appreciate life just as it is! The whole, magical and wonderful Reiki experience helps balance the chakras, relaxes you, and takes you to a place free of responsibility for a little while. A treatment designed to make you feel like you can hear more clearly, using ear candles we aim to remove any wax build up, pressure & fluid to bring clarity to your hearing, release of pressure and balance. Finished with a massage to drain the lymph, clear the sinuses and stimulate the circulation helping to relax and refresh you. A treatment designed to make you feel like you can hear more clearly, using ear candles we aim to remove any wax build up, pressure & fluid to bring clarity to your hearing, release of pressure and balance. Exclusive use of the Simply Stylish space. Designed for 3 of you to meet and relax with us at Simply Stylish in Debenham, Suffolk. We welcome you with hot drinks, fresh fruit and pastries, served in our wellness boutique, an area for you to lounge on our sofa, chat, or browse and try our range of indulgant body products, all designed to enhance your wellbeing. Each of you gets the choice of a 25 minute treatment, choosing from: Indian Head Massage, Nourishing Back, Neck and Shoulder Massage, Express Reiki or Express Ear Candle Treatment. Your treatments will follow on from a wellness consultation to ensure you benefit from your time with us. Pain removing. Back repairing. Sleep inducing. Always caring. Book the treatment for each month and receive the monthly wellness products at the appointment. If you are buying this as a gift a voucher will be provided for the recipient to book at their convenience. Gifting made easy. Pop by, email, message or phone and we can get this organised quickly and easily. Massage treating a specific area of concern, injury or pain. Popular areas that we treat are neck, shoulder or lower back pain. Also many of our clients suffer with muscle and joint pain in the knees or hip which we can concentrate on in this treatment, to improve flexibility and mobility. Foot pain can be addressed and we can use our expertise in Occipital release to realign the body and release tension through the upper back, scalp and neck. Our Prescriptive massages are performed using a specially formulated oil designed by Osteopaths for arthritic joint pain, muscle pain and inflammatory conditions. Massage to lengthen, strengthen and knead away the knots of the back, aligning the back and neck to leave you with a sense of standing tall and feeling revived. Find relief from knots and stimulate the muscles through this massage, paying particular attention to your long term areas of tension, a freeing treatment that makes you feel more flexible. A massage of the back, neck and shoulders where we hand walk the spine, releasing tension from the back, neck and shoulders to make you feel like you are standing tall and glowing bright. Choose from Anti- Cellulite to reduce the appearance of cellulite. Detox to boost your immunity and detox your system. Nourishing to restore and give a youthful appearance to the skin. A massage of rolling moves, soft finger touches and muscle manipulation to delight the senses & boost the circulation working to refresh, awaken and make you feel radiant inside and out. Choose from Anti- Cellulite to reduce the appearance of cellulite. Detox to boost your immunity and detox your system. Nourishing to restore and give a youthful appearance to the skin. A therapy to wash away tension from your brows, forehead and temples. Soft ripples across the scalp housing the brain, the centre of every system in the body, it stimulates the senses, increase circulation and balances and heals our bodies. Awake from this therapy with a renewed optimism and sense of happiness. 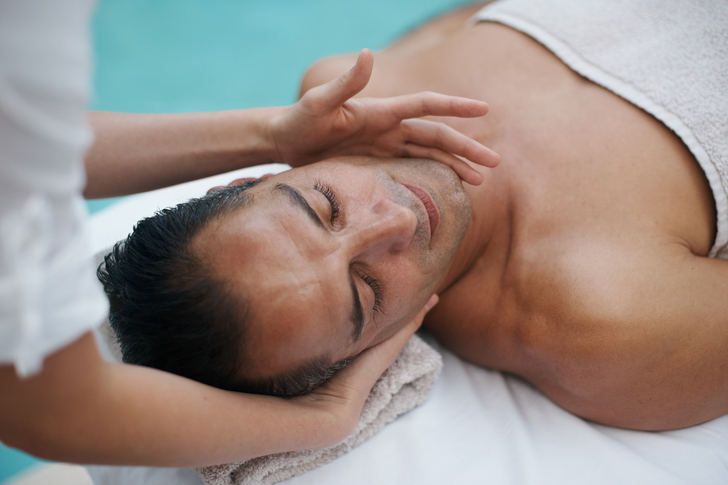 A 25 minute massage concentrating on the face, neck and scalp to relive sinus congestion. Packed with relaxation techniques but also you will experience relief from congestion and pain. Great for hay fever sufferers, sinisitus, colds and headaches. 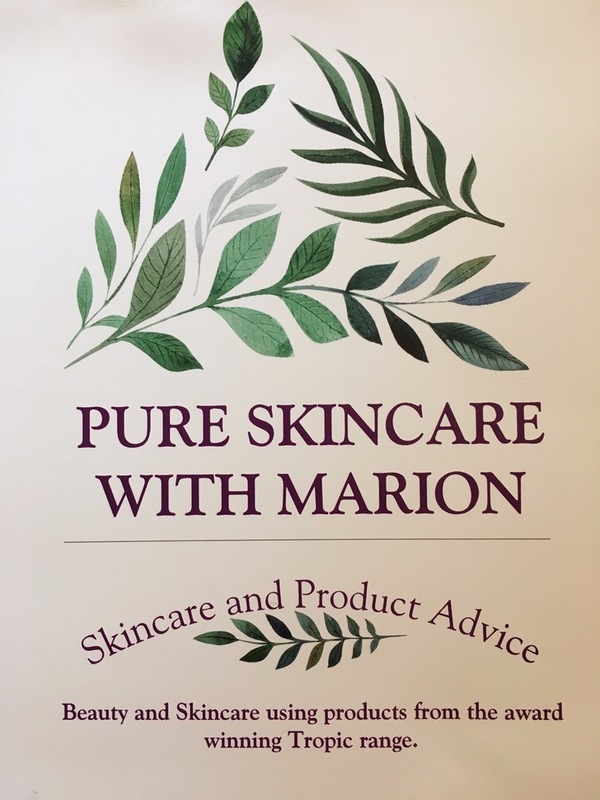 Our new range of facials performed by Tropic ambassador and qualified beauty therapist Marion are performed using natural, certified organic products from Tropic Skincare. Developed by this award winning product house the products are naturally effective with no chemicals or preservatives, recognised by the Vegan society and cruelty free. To include Facial cleanse, exfoliate, mask and moisturise. To include skin consultation for skin type analysis to assess treatment and after care advice. Facial cleanse, exfoliate, mask, tone, moisturise and follow up. Includes hand or scalp massage. To include skin consultation for skin type analysis to assess treatment and after care advice. Facial cleanse, exfoliate, mask, tone, moisturise and follow up. Includes neck and shoulder massage. This is an intenscie treatment specific to skin type.